When you count on DBS for your crawl space insulation needs, we will send out an expert technician to inspect your crawl space and recommend the right services. Contact us today for a free crawl space insulation quote! We serve Duluth, Minneapolis, Superior and many surrounding areas. Interested in installing insulation in your crawl space? We have the answers you need! 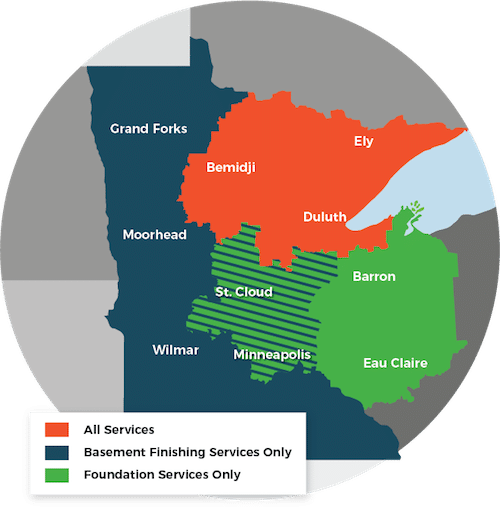 DBS services Two Harbors, Cloquet, St. Paul, Hermantown, Virginia, Ashland, Esko and many nearby areas in Minnesota and Wisconsin. Schedule a free estimate with us today!